Volvo Car Open on Daniel Island. You know it’s spring in Charleston when the cars are thick with yellow pollen, as well as a colorful array of out of state license plates. Porta- Potties line the streets, novice runners sport bright, new shoes and college kids seeking sun and warmth stretch out behind the beach dunes. Typically, the signs appear in April, alongside two annual events; the Cooper River Bridge Run and the Volvo Car Open. This year, women’s tennis kicked off the unofficial start of tourist season. 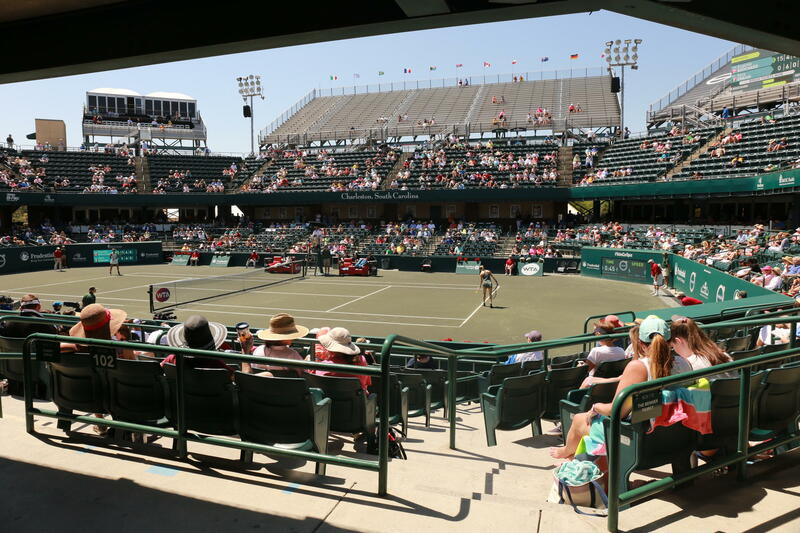 Beginning March 31, the week- long event formerly known as Family Circle Cup was expected to bring in 90,000 spectators to both the main Daniel Island stadium and several smaller, court side matches. It’s touted as the largest women’s only tennis tournament in the world. People come by the bus load, literally, with shuttle buses running from off-site parking to the stadium. There are plenty of food vendors, pop up shops with tennis wear, and booze. A $20.00 Bloody Mary looks more like a meal with a couple of shrimp, bacon, green olives and celery tucked in. The ever popular Cooper River Bridge Run was back for its 41st year with nearly 30 thousand taking part. It’s billed as the third largest 10K foot race in the nation. 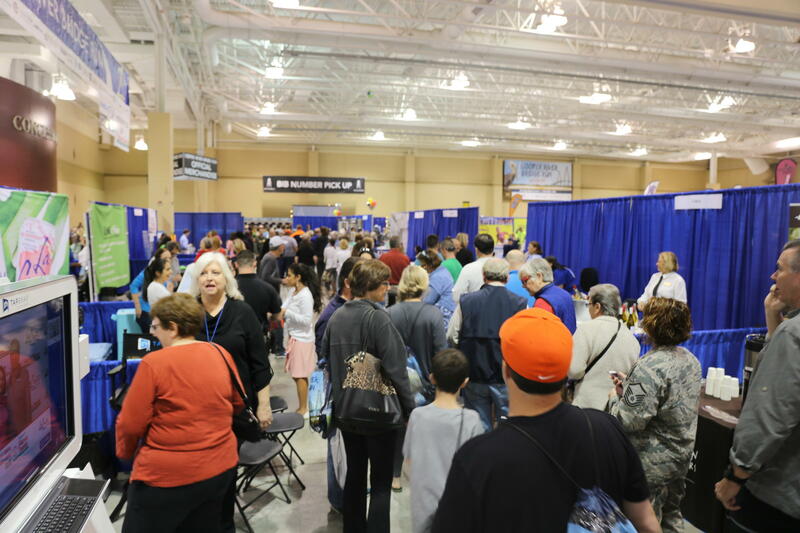 Runners and walkers packed the North Charleston Convention Center two days before the April 7 race to pick up their bibs as well as some freebies along the way. Lines were long, but seemed to move along. Marathoner Mike Whack said the wait was well worth it. “This run is just so picturesque, so beautiful. It’s a phenomenal city,” he said. Charleston’s charm has repeatedly won accolades from travelers. Last year, readers of Travel and Leisure Magazine named it the top tourist destination in the nation and second in the world. 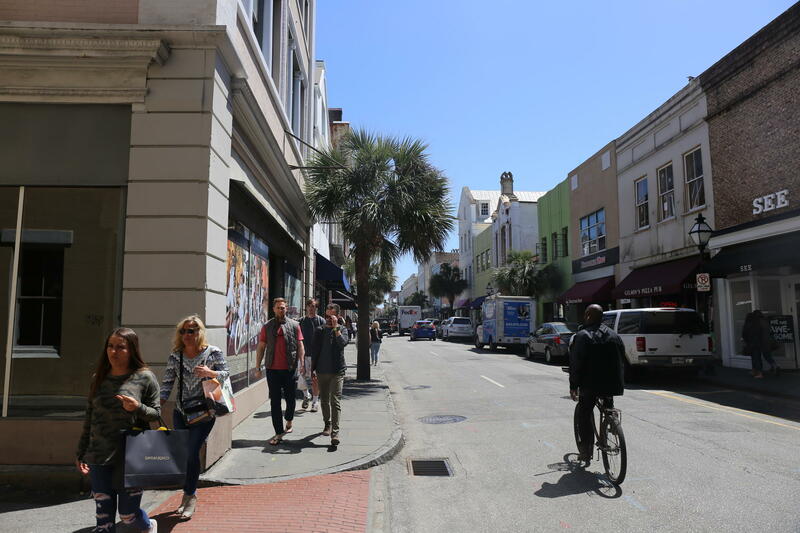 Local numbers crunchers are still doing the math, but the Office of Tourism Analysis at the College of Charleston says hotel occupancy rates for that first, full weekend of April were about 95 percent. They say on average, room prices were 30 dollars more at $230.00 a night. They anticipated 32, 600 rooms would be sold April 6 and April 7 for a total revenue of 7 point 5 million dollars. There were several other events in town as well that weekend to keep cash registers ringing including; Summerville’s Flowertown Festival, James Island’s Cajun Festival, and Jimmy Buffett played before a sold out crowd at the North Charleston Coliseum. What’s more, spring break for many students just happened to fall the following week bringing plenty of college students and families to town. In fact, the Shearer family of five drove 13 hours from New York just to spend some time in Charleston and on Kiawah Island. They say they have no idea how much money they spent. We don’t like to talk about that,” said Ted Shearer. “We just do it.” He did check his phone from time to time to look in on the Masters Golf tournament going on in Georgia and was a bit disappointed to learn he’d missed out on the Heritage being held the following week on Hilton Head Island. There’s no word yet on the total economic impact of that big April weekend or the week before and after. 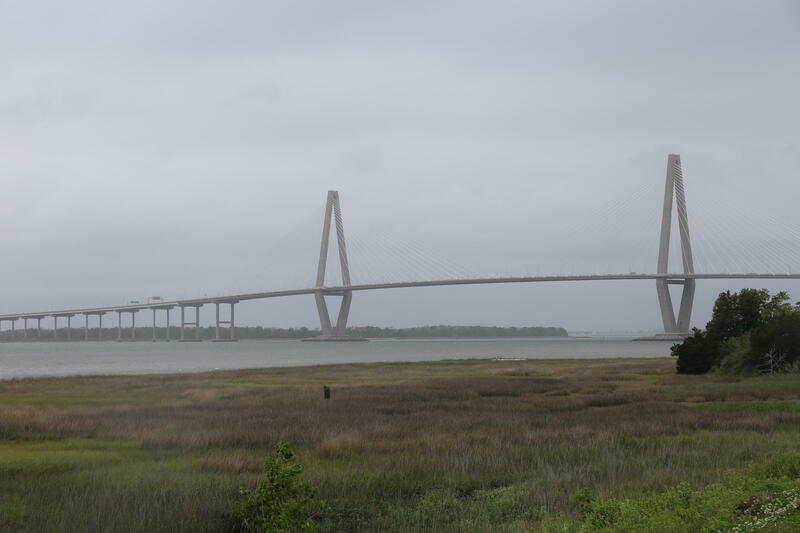 But the last tourism economic impact study done by the Office of Tourism Analysis for 2016 to 2017 found the Charleston area welcomed nearly five and a half million visitors a year with each spending on average $227.00 dollars a day. They say the total economic impact then was 4 point 2 billion dollars. Bridge runner Matt Wall is not surprised. “It is part of living in Charleston,” he said. “It is a happening place.” He just happened to move here seven years ago after frequent visits. It’s not uncommon for tourists to turn the Holy City into home. The Charleston Regional Development Alliance estimates 34 people move to the Charleston area every day.